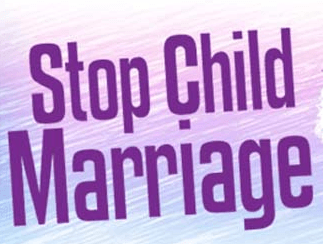 Madam Comfort Ablormeti, Volta Regional Director, Department of Gender, has envisaged the reduction in cases of early and forced marriages in the Region this year. She said dozens of outreaches and sensitization programmes held last year were yielding positive results, with communities and their leaders putting measures in place to support the campaign. Madam Ablormeti, in an interview with the Ghana News Agency, said her outfit was privy to information that some girls in Kpassa in the Nkwanta North District reportedly aborted plans of their parents to marry them off by reporting their suspicious “signs and acts” to relevant authorities. She said it was unfortunate that some parents still held onto “harmful traditional practices” even though it was drawing them back, but said the future was bright. Madam Ablormeti said her office was tracking all community leaders who promised to help end child marriages in the communities, especially in Muslim communities and called for help. Madam Ablormeti said the various workshops and outreach programmes had helped the girls to know their rights and to make good and informed life choices.